Last season the Twins won the second wild card spot almost by default. All those second wild card contenders stunk. 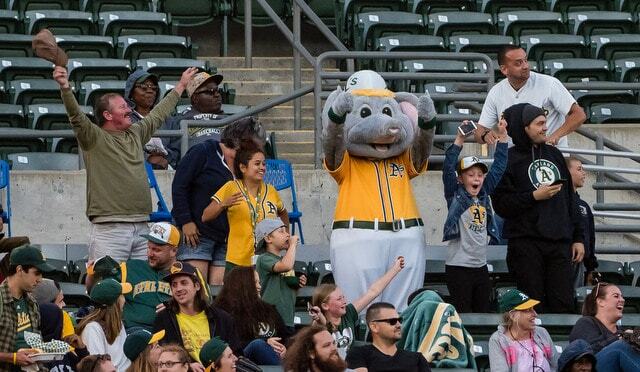 The A’s are a legit threat this year. They’d be in a virtual tie with the Cubs for the best record in the NL. Remember, whatever happens this series tells you everything you need to know about the forthcoming AL Wild Card Game, unless the Yankees win, in which case it’s meaningless. Here are today’s lineups. It is a nice and sunny day in the Bay Area. Seems like a fantastic afternoon to spend at the ballpark. First pitch is scheduled for 4:05pm ET and you can watch on YES locally and ESPN nationally. Enjoy. 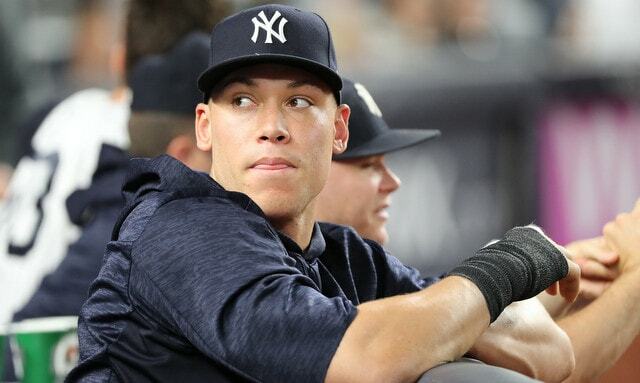 Injury Update: Big news: Aaron Judge (wrist) swung a bat today. He took 25 dry swings and 25 off a tee, all at 100% effort, and didn’t feel anything other than normal soreness. “It was a good sign … definitely a big step,” he said. There’s still no firm timetable for his return, but this is a major step forward. Yay. Roster Moves: Both outfielder Shane Robinson and lefty Ryan Bollinger were outrighted to Triple-A Scranton, the Yankees announced. They remain in the organization as non-40-man roster players and will join the RailRiders for the postseason this week. Robinson and Bollinger were both designated for assignment in recent days. Roster Note: Sonny Gray is not with the Yankees. He’s home with his wife, who is due to give birth to their second child soon. Congrats to them. Sonny will rejoin the team later this week. He threw 62 pitches yesterday and wasn’t going to be available for a few days anyway, plus rosters have expanded, so there are plenty of relievers available. Awards! : For the second time this season, Gleyber Torres has been named the AL Player of the Week. He won the award the week of May 27th as well. The Gley-Hey Kid went 11-for-23 (.478) with three homers last week. Slump’s over. September 1st has arrived and that means rosters have expanded. Teams can carry up to 40 players through the end of the season rather than the usual 25. Most teams will wind up carrying 30-35 players this month. Every team will have extra relievers and bench players starting today. Andrew McCutchen and Adeiny Hechavarria added to the active roster. 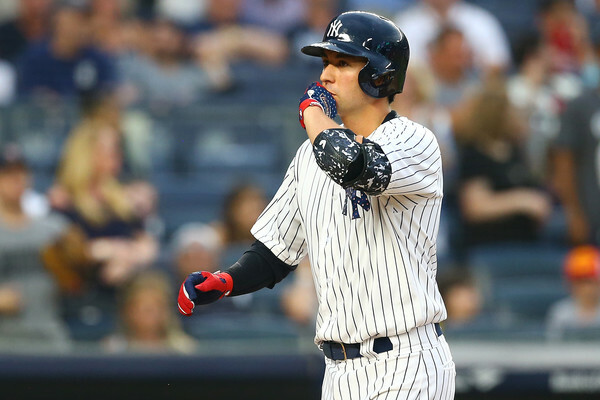 Gary Sanchez activated off the 10-day DL. Tyler Wade and Luis Cessa recalled from Triple-A Scranton. Stephen Tarpley added to 40-man roster and promoted to MLB. Andrew McCutchen! The Yankees acquired McCutchen from the Giants yesterday and he spent the day traveling to New York. He wasn’t put on the active roster yesterday because there was no reason to do so. He wasn’t going to be available and there’s no sense in playing with a 24-man roster. McCutchen is in today’s lineup. Hooray. I’m not sure whether Hechavarria, who came over in a trade late last night, is with the team yet. No harm in adding him to the roster now that rosters have expanded though. The big news is Sanchez returning from the disabled list. For all intents and purposes, he’s missed the last two months with a groin injury. He went on the disabled list June 25th, returned July 19th, played three games, then returned to the disabled list after reaggravating the groin injury. All told, Gary has missed 54 games with the groin injury and reaggravation of the groin injury. 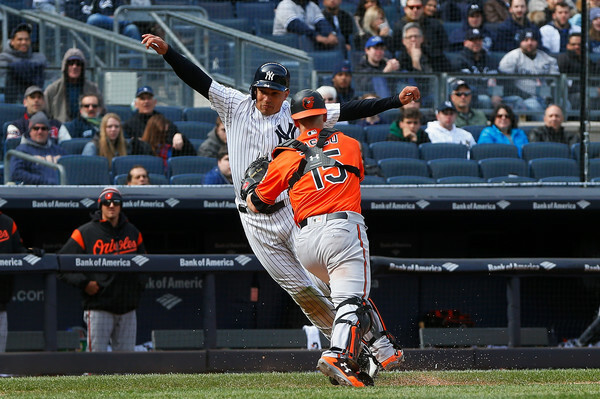 While Sanchez was out the Austin Romine/Kyle Higashioka catching tandem hit .201/.258/.350 in 231 plate appearances and opponents went 43-for-56 (77%) stealing bases. The overall team ERA also went from 3.43 to 3.72 during Sanchez’s absence. It has not been pretty behind the plate the last few weeks. I’m looking forward to Gary being back and him getting back to being the player he was last year. The other big news today is Tarpley’s call-up. The left-hander came over as one of the two players to be named later in the Ivan Nova trade with the Pirates, and thanks to a new pitch and a new role, he posted a 1.94 ERA (3.23 FIP) with 25.6% strikeouts, 9.4% walks, and 68.1% grounders in 69.2 innings between Double-A and Triple-A this year. That 68.1% ground ball rate is the highest among the 1,011 minor leagues with at least 65 innings pitched in 2018. Tarpley will be making his big league debut, and, like most first time September call-ups, I expect him to work in mop-up duty, at least at first. He held left-handed batters to a .148/.219/.193 batting line in the minors this year and could always get the call in low-to-mid-leverage left-on-left spots. Phil Coke quickly worked his way into the Circle of Trust™ in September 2008. Maybe Tarpley can do the same in September 2018. That’d be cool. The Yankees have not yet announced a 40-man roster move for Tarpley. I wonder if it’ll be Shane Robinson now that McCutchen is with the team and Wade, who can also play the outfield, has been added to the roster. 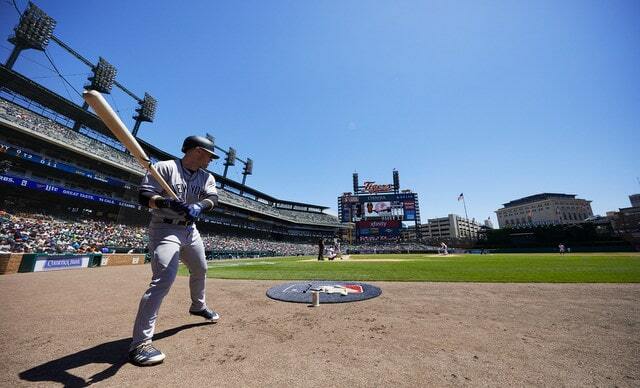 The Yankees might be waiting to make sure no one gets hurt during batting practice today before announcing Robinson has been designated for assignment, assuming he is the move. That’s a fairly common practice. 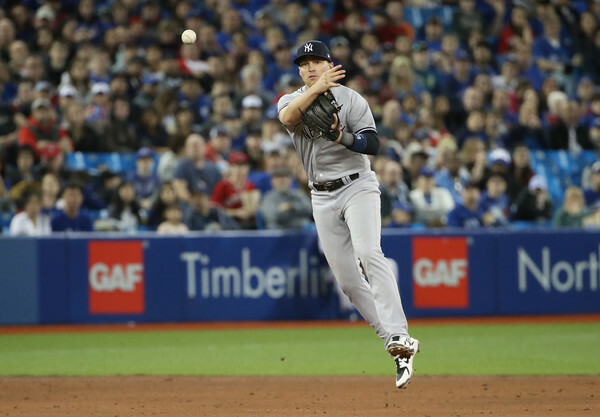 Update: Yep, Robinson has been designated for assignment, the Yankees announced. That’s the 40-man move for Tarpley. Cessa and Wade have been up and down a bunch this season and are just extra bodies now that rosters have expanded. Wade is a speedy utility guy who can play pretty much anywhere. With Quintin Berry not being called up (not yet, anyway), I assume Wade takes over as the designated pinch-runner. 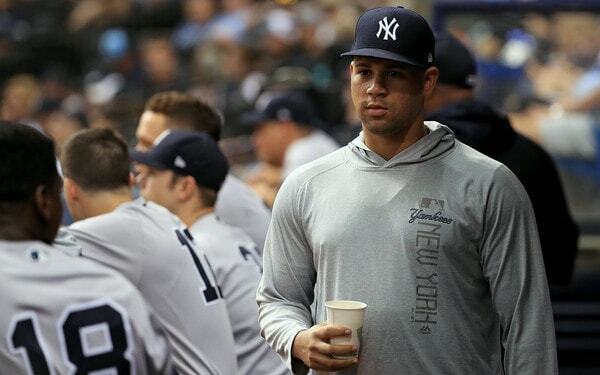 Cessa is stretched out as a long man, so now the Yankees have him and Sonny Gray available for long relief work for whenever things go haywire. Notably absent among today’s call-ups: Justus Sheffield. Aaron Boone said yesterday Sheffield would not be called up today, but could be later this month. I think it’ll happen fairly soon. Sheffield moved to the Triple-A bullpen last week in preparation for a call-up, but he missed a few games with an illness earlier this week, and fell behind a bit. I expect him to come up after one or two more relief appearances with the RailRiders. As always, more call-ups will take place throughout September. Sheffield will be up at some point and I assume Chance Adams will as well. Probably once Triple-A Scranton’s season ends, which could be as soon as Monday. Berry is another call-up candidate. Domingo German and Jonathan Loaisiga will likely return later this month, plus Aroldis Chapman and Didi Gregorius will eventually be activated off the disabled list, hopefully soon. Last night Shane Robinson was in the starting lineup for the fifth time in the last six games and the eighth time in the last 13 games. He’s on the roster because Aaron Judge is out with a chip fracture in his wrist and he’s been playing so much because Giancarlo Stanton is nursing a tight hamstring and the Yankees don’t want to risk making it worse with too much outfield time. Robinson has been in the lineup regularly the last two weeks and he may not come out of the lineup anytime soon. Following last night’s game Judge, who saw the doctor for a checkup yesterday, told Mandy Bell his wrist is “still fractured” and he’s not yet been cleared to swing a bat. He’s making progress. Slow progress, but progress. The original three-week timetable that put Judge on track to return late next week? Seems optimistic now. Basically, Boone is saying that once Judge gets the thumbs up to swing, it shouldn’t take him long to get game ready. That’s great, but how long until the fracture heals, Judge is pain free, and he can start swinging a bat? Remember, Boone said he was hopeful Judge would be able to start swinging a bat last weekend. Now it might not happen this weekend. Eh. The skipper seems a little too optimistic here. The timing of the injury was really unfortunate. 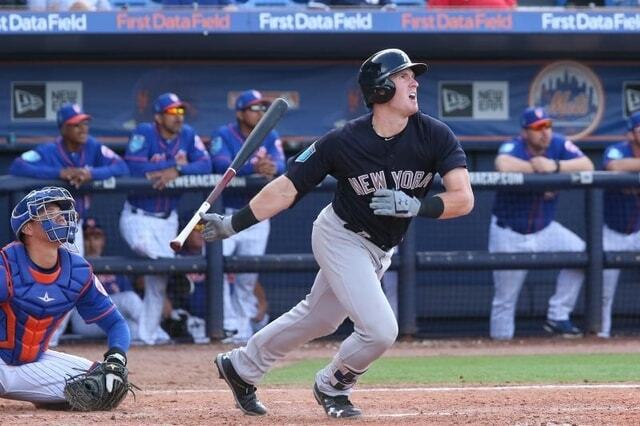 The Yankees traded Billy McKinney, their best healthy Triple-A outfielder, only hours before Judge’s injury. The trade was announced at 4:09pm ET. Judge was hit in his first at-bat of a 7:05pm ET game. Yeah. The timing stinks, but let’s be real, McKinney had a .299 OBP while repeating Triple-A. I’m not sure he’d have been much help anyway. Well, whatever. No sense in crying over an injury and a trade that already happened. The bottom line is Judge is still on the disabled list and he’s not progressing as quickly as hoped given the whole “he could start swinging a bat last weekend” thing that didn’t happen. Maybe he’ll make a miraculous recovery and be back within a week. I’m not going to hold my breath. Wrists are tricky. The Yankees have three options to replace Judge. One, they could continue to run Robinson out there. Not my preferred option but it is an option. Two, they could get creative and put Neil Walker in right field. Boone told Brendan Kuty he wouldn’t rule it out. That’s a little too “Lyle Overbay in right field”-y to me, but hey, it’s an option. Walker’s hitting, so put him out there for six innings, then let Robinson replace him for defense. I suppose they could stick Tyler Wade out there? Seems unlikely. 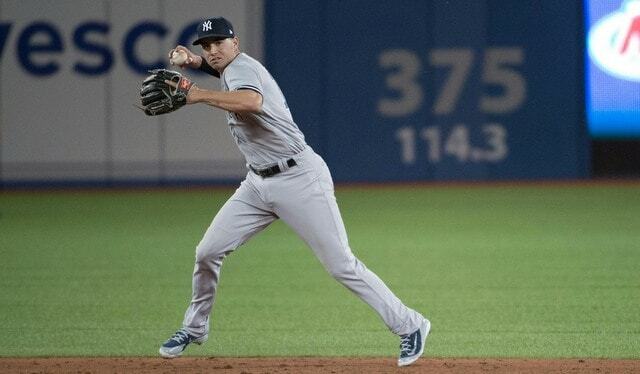 Or three, the Yankees could make a trade for another outfielder. They tried to do this before the trade deadline and came up empty. 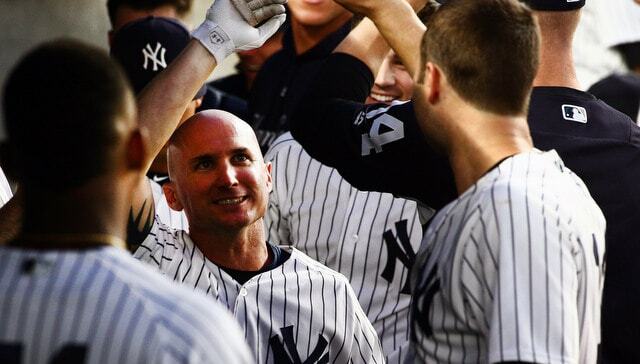 Brian Cashman said he didn’t like the asking prices. That’s fair. Doesn’t solve the whole “Shane Robinson starting five times in the span of six games” problem though. The Yankees have about $3.5M to spend under the luxury tax threshold, though it’s really more like $2M to $2.5M once you factor in September call-ups. Jose Bautista, Mets (101 wRC+): He stopped hitting weeks ago. Keon Broxton, Brewers (93 wRC+ in AAA): Would the Brewers trade him? Could be a fit. Carlos Gomez, Rays (91 wRC+): Like it or not he’s probably the best, most realistic option. Curtis Granderson, Blue Jays (106 wRC+): A left-handed hitter, but he’d work for me. Andrew McCutchen, Giants (114 wRC+): The Giants would have to eat money to make it work. Do the Yankees ante up the prospects to get San Francisco to eat some of Cutch’s salary? Live with another lefty bat in Granderson? Hold your nose and remember it’s only temporary with Bautista or Gomez? Not sure there’s a right answer here. I’m kinda hoping Cashman pulls a rabbit out of his hat and finds a surprise outfielder who passes the “better than Robinson” test and soon. I know this much: The Yankees without Judge are a very different team. He is a massive presence in the lineup. Would Rick Porcello and Nathan Eovaldi have pounded the strike zone against Judge like they did everyone else last weekend? Hell no. Judge is the kinda guy who leaves opposing teams counting down lineup spots until he comes up. 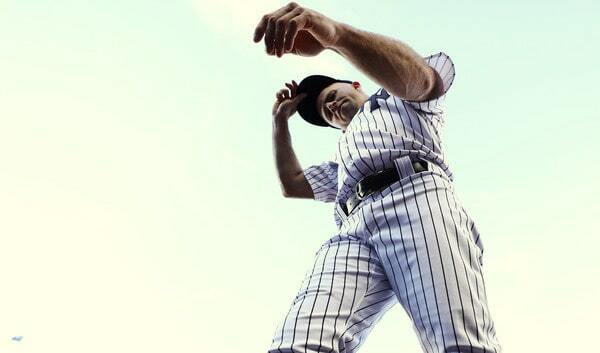 There’s nothing the Yankees can do to replace him. He’s so good he is essentially irreplaceable. They just have to get by. 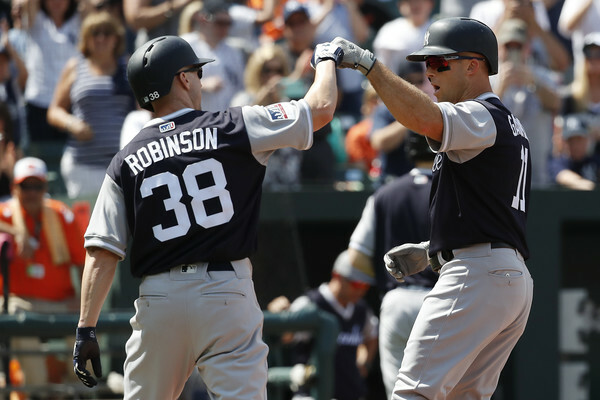 Robinson has been the Yankees’ answer the last few weeks and hey, if Judge were on track to return next week as the original timetable suggested, maybe sticking it out with a Robinson would be okay. Judge returning next week no longer appears to be the case though. The fracture isn’t healed yet and he’ll need some time to get back into game shape once it is healed. 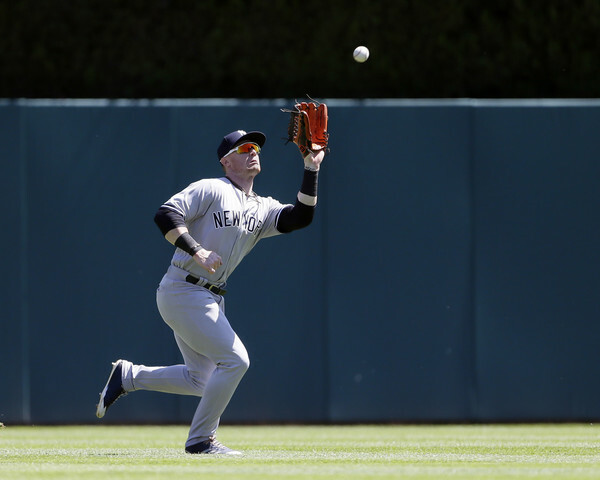 Finding a replacement outfielder should be the top priority right now.